The selections range from the "bathing suit walk" to hikes reaching hidden bays, excursions to picturesque villages and secluded monasteries, to tours of the alpine mountain terrain. Special attention has also been paid to the many ancient sites which, especially in Eastern Crete, can be optimally integrated into the walks. Many of the 50 tour recommendations are excellent for families with children or older hikers. 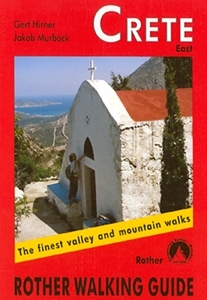 Each tour recommendation is described in a detailed and informed manner, and is illustrated with a colour photo as well as a hiking map having the ideal scale of 1:50,000 or 1:75,000 and an illustration of the route; there are also 3 overview maps at 1:650,000, ideal for planning.